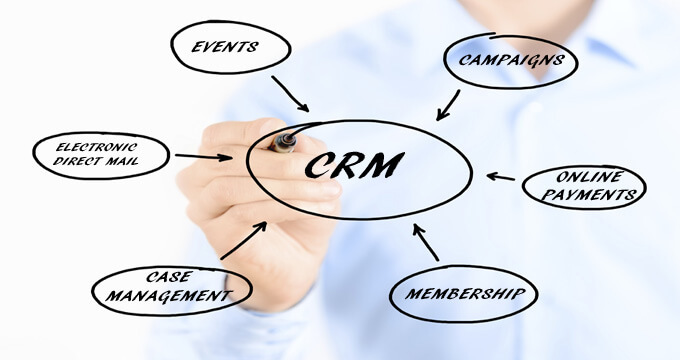 Contact Relationship Management (CRM) systems are not just for large, wealthy organisations. Social Change Media can provide you with an affordable and powerful CRM solution that can save you time and money. CRM systems are applications that allow you to efficiently manage your communications and activities with your contacts, whether they be members, supporters, subscribers, stakeholders or anyone else that has a relationship with your organisation. Manage contacts, events and other activities using multiple, unconnected applications like MS Excel, Word and Access. Integrate website transactions made by your contacts with your back-end systems. Then you would probably save valuable time and money by implementing a CRM system. Commercial CRM systems can be expensive to purchase and implement and tended to be in-house, offline systems that only office staff could access. A common perception has been that these systems are for large, commercial, sales-oriented organisations. But recently, there's been a quiet revolution going on. There is now an affordable, powerful, online CRM system that is specially built for non-profit and public sector organisations: CiviCRM. Because CiviCRM is open-source, you avoid expensive, ongoing licencing fees. Plus with a large development community of 15,000+ members, you get the benefit of extensive ongoing product development that vendors of proprietary systems find hard to match. If you would like to learn more about how CiviCRM could benefit your organisation then please contact us.